Just in case you haven't had your fill of holiday desserts we offer up this find. Made with Pumpkin Pie Spice, you can make this drink to enjoy the seasonal seasoning favorite one more time in 2013. 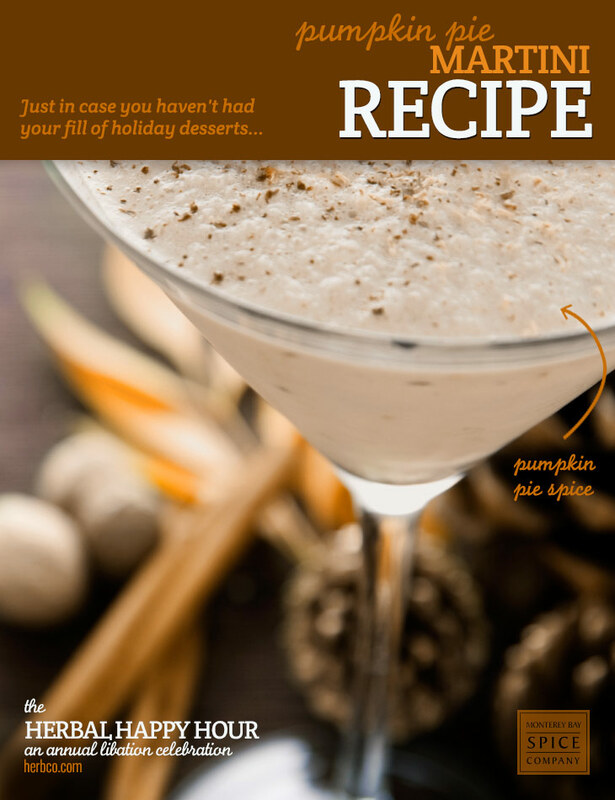 Combine rum, liquor, pumpkin pie leftovers (or filling), and pumpkin pie spice in a drink shaker, add ice and shake vigorously. Line martini glasses with graham cracker crumbs. Strain the drink into the glass, garnish with more graham crackers and serve.